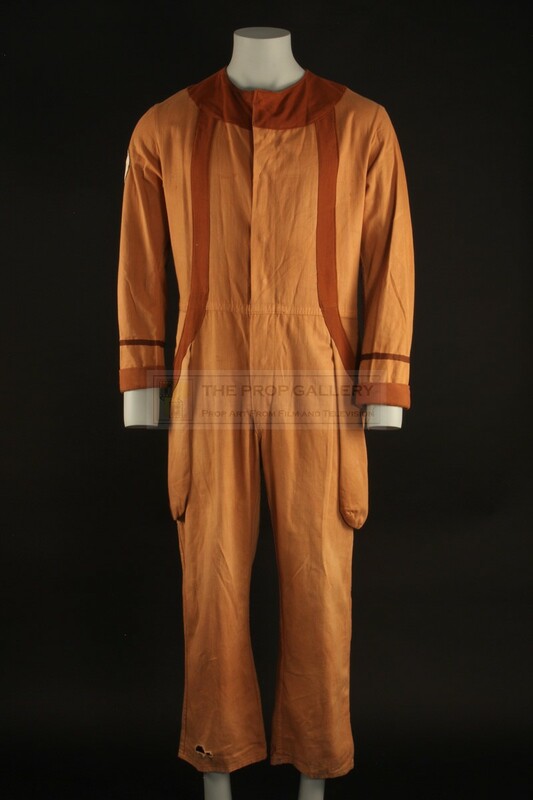 From the 1984 serial Resurrection of the Daleks starring Peter Davison as The Doctor costumes such as this can be seen worn by the various crew aboard the space station. 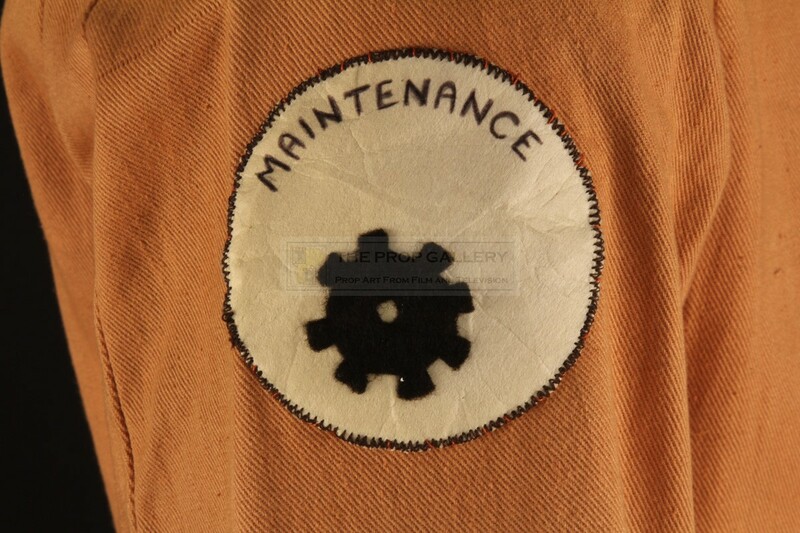 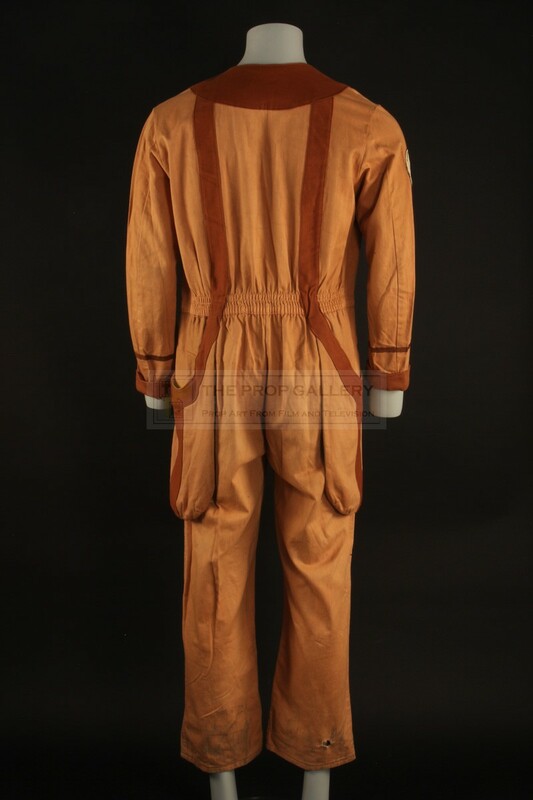 The full length orange overalls with brown detailing and press stud fastenings feature a hand made and applied patch to the right shoulder with the word 'MAINTENANCE' hand inscribed in pen. 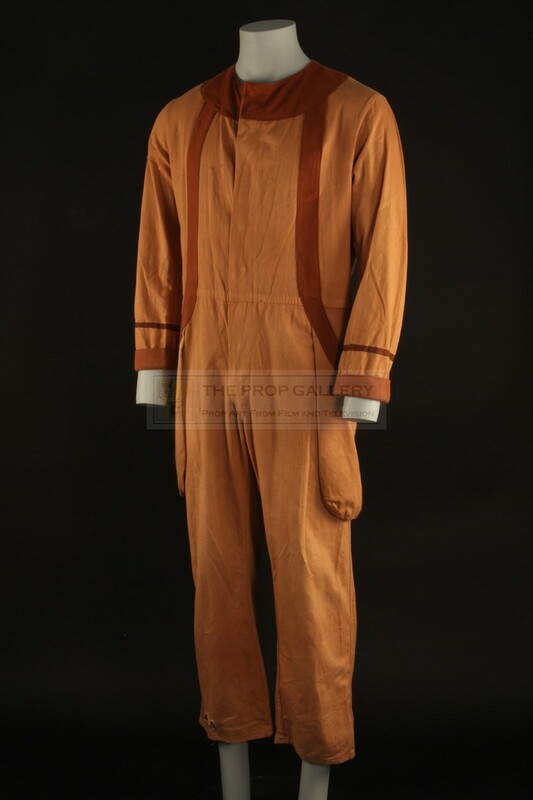 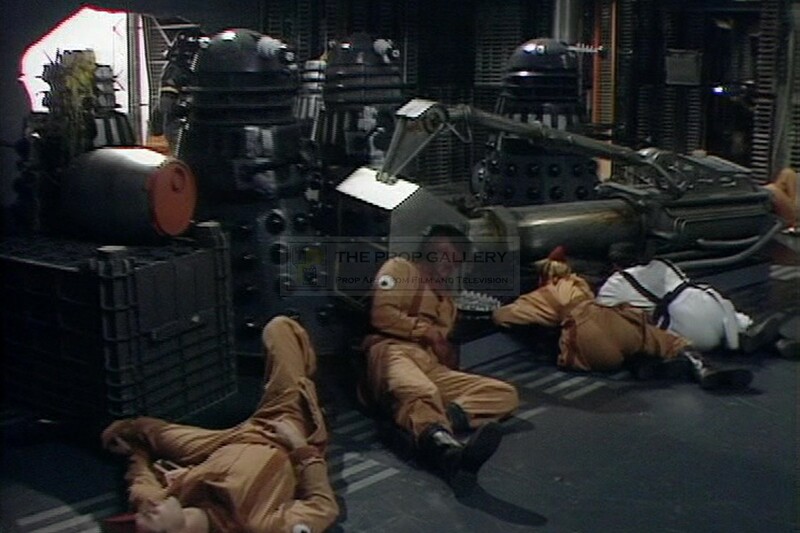 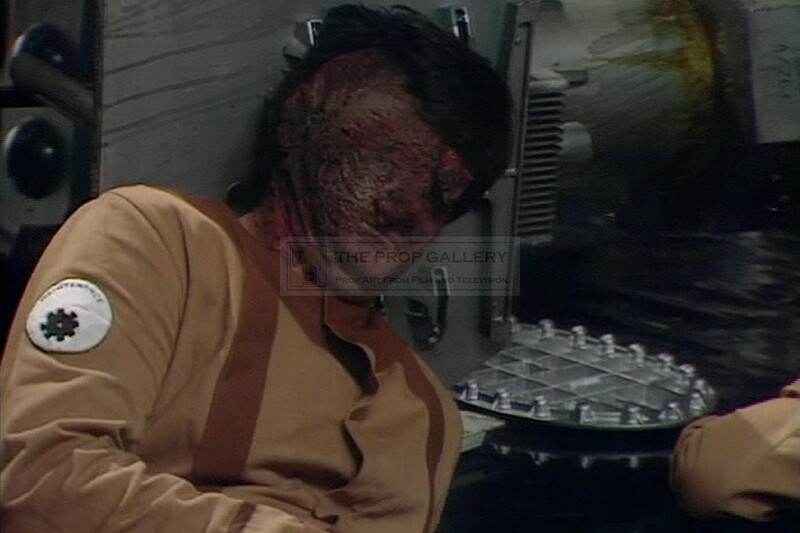 This costume can be screen matched to the one worn in the close up of the dead body when the Daleks attack the space station by the unique construction of the maintenance patch and later by one of the bodies seen by Turlough (Mark Strickson) with a rip in the right leg of the costume appearing consistent with the one on screen. 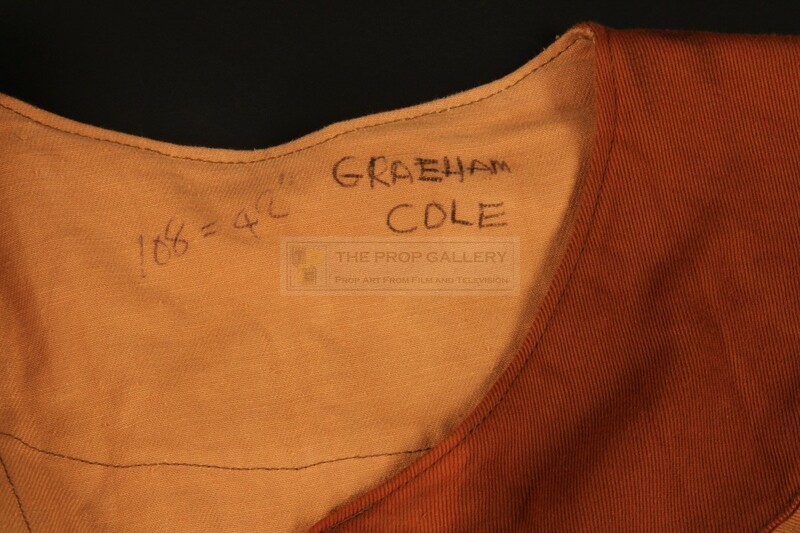 The interior collar of the costume is hand inscribed with a size and the name 'GRAEHAM COLE' (SIC) who portrayed one of the crew having previously appeared in numerous episodes of the series most notably as The Melkur. 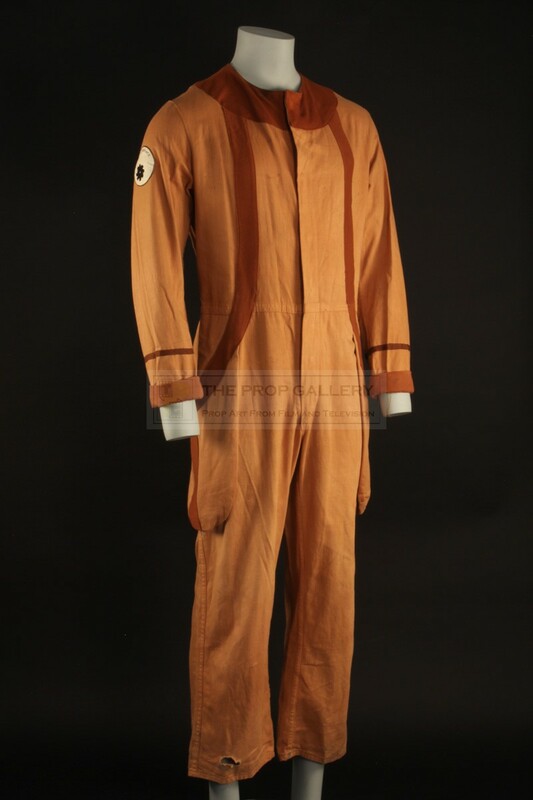 The costume remains in excellent production used condition with only minor soiling. 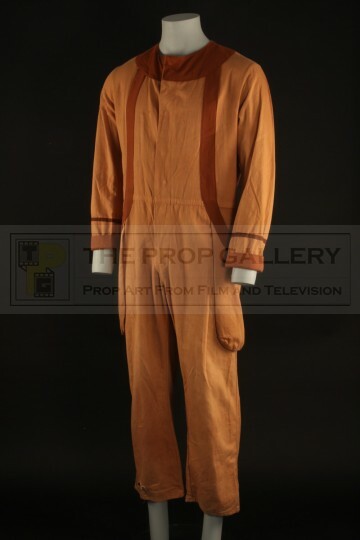 A fine example of original costume from this classic science fiction series.